Knacks resumes his blogging for the season, but it plays a lesser role this year. Santa arrives to assign this year's Calendar duties. Knacks and Tigerboy again get the Lego one, while Waiterbot and Mista Snowman get Playmobile, which is mysteriously a Pink Princess theme, and very unChristmassy. Kuse, meanwhile, is stuck at a dull office job working 24/7 to afford the mansion everyone else is living in this year. 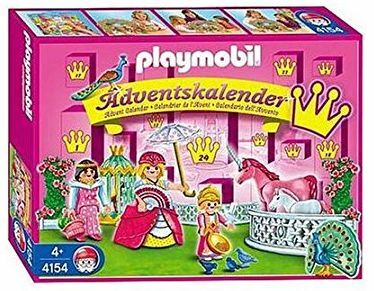 Mare visits the Playmobile Calendar after hearing what it looks like, and realizes that it's from another dimension where Christmas is celebrated in different ways. As such the gifts tend to be lamer than the Lego one, much to Waiterbot's dismay who keeps getting flowers of sorts. Even when he's convinced a box has a new Mare, and will trumph all other gifts, it's still flowers. Elsewhere we see that there's yet another Calendar which is being harvested by rabbits. There is also a rabbit at Kuse's job who doesn't talk much, but seems nice enough. A new Mare does appear after a few days, when Waiterbot has given up hope of getting anything good. He names her Cher to keep things simple, and brings her home to put in the cage received on the first day. At another lair, we see the Rabbits again, and the remains of the torched Santa from last year. 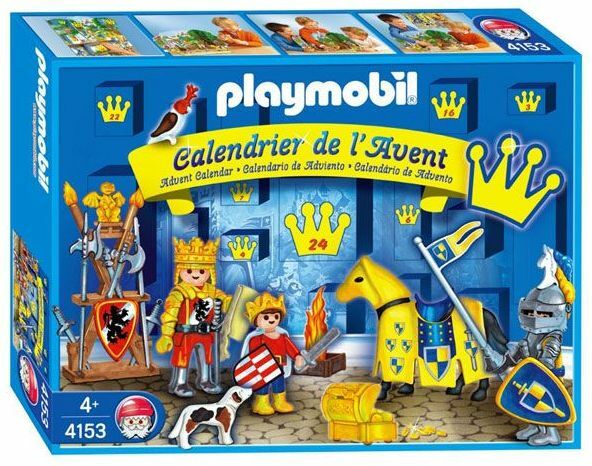 The rabbit then goes to the Playmobile Calendar and swaps out the day's gift of a peacock for a man in a cape. The peacock is then used in a spell to ressurect Santa. All the while, Knacks and Tigerboy have been on a road trip to Tahiti to find out where Mare II went, since he hasn't heard from her in a while. They don't find her, but do run across Santa 2005, who says she passed through, but admits that the couple wouldn't have worked out, since she's now a traveler and it's not in her nature to settle down. Knacks understands and heads back home. At home, Knacks sees Cher and instantly sees the resemblance between her and Mare II, which makes things harder. Moreso when Waiterbot won't let him talk to her. Jacob, the man in a cape who was swapped with the Peacock, has been overly polite to everyone, but is secretly spying on the crew for the rabbits. He reveals that everyone now things Mare II has moved on, but is in reality dead, but soon to be reanimated for evil purposes. Jacob also starts to warm up to Mare, in hopes of turning her against Kuse. At work, Kuse is torn between keeping his job and in turn the house, and his duties at home. The rabbit tries to help, and introduces himself as Hssxxlllo. Despite his good intentions, he is helping the other rabbits with their evil goals, although with some doubt. The evil plans are falling apart at home due to Jacob's walkie-talkie being discovered, so the skeleton of Mare II is sent to attack Legotron. Box blasts her with energy and they bring the bones home, which contains a surveillance camera. Jacob is soon found out to be evil once Tigerboy confronts him, and it quickly chased off by Mare. Back at the evil lair, the rabbit is watching via the skull camera and reveals that she is an inter-dimensional Mare known as Hare Winningham. The bones of Mare II reassemble and then pleads with Mare to be destroyed so she can be at peace. Kuse finds out about the evil rabbits and makes the connection with Hssxxlllo, who in turn is starting to openly object to the evil plans. At the end of the day, a new mega-mare sized Mare is born, much to the concern of most of the group. Trudy, the new larger mare, is accepted into the group, but eats too much, and Legotron continues stealing heads from the new Lego bit characters. Waiterbot stays at home to beat up the existing Lego people for calling him a wimp, and Hssxxlllo shows up at Kuse's job to reveal his true self, but also give him some spells that may be needed if all goes wrong. The remainder of the evil calendar is opened in order to get a suitable army for Hare, and they start heading to the home of the heros. A new larger Mare shows up named Carol, and she and Trudy reveal that they are also spies for Hare. 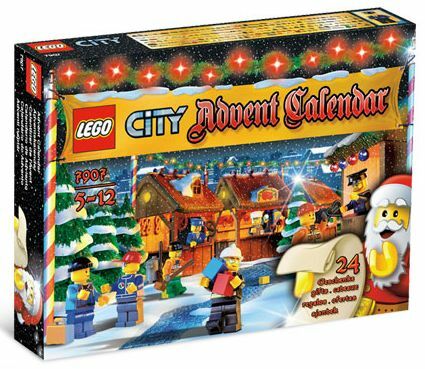 Despite Lego Santa cancelling all of the Calendar duties for safety reasons, Tigerboy heads out anyway to avoid bad luck, but is cornered by Hare's army while there. At home, the Lego bit characters line up to protect the house, but are quickly killed off. Inside Hare torches and kills Lego Santa, leaving the rest of the crew to have a battle. The battle seems to be going poorly until James Lipton arrives and tells a story about how he preserved the appearance of his hands by having fake ones installed. However this led to hollow arms, so he converted those to flamethrowers and defeats the two mega-mares. Hare then starts to summon Leviathan again, offering him sacrifices. After Leviathan refuses to accept them, Hare is enraged and decides to just kill everyone for her own purposes instead. She blasts Hssxxlllo since he serves no further purpose and is getting in the way. Hssxxlllo cuts the ropes while on the ground, freeing everyone. Kuse uses this chance to read the spells he was provided and summons Leviathan, this time who accepts the terms and drags Hare to hell. With everything settled, the crew try to pick up the pieces. Kuse decides to quit his job and coast on ebay profits from Hare's belongings for a while. They all go to the Calendar one last time to greet the new Santa, but there isn't one. After a fade, we see Hare in hell surrounded by zombies. She then is offered a chance at revenge and meets Claire.